Get a stylish look and reliable interior protection with ARIES StyleGuard XD floor liners. 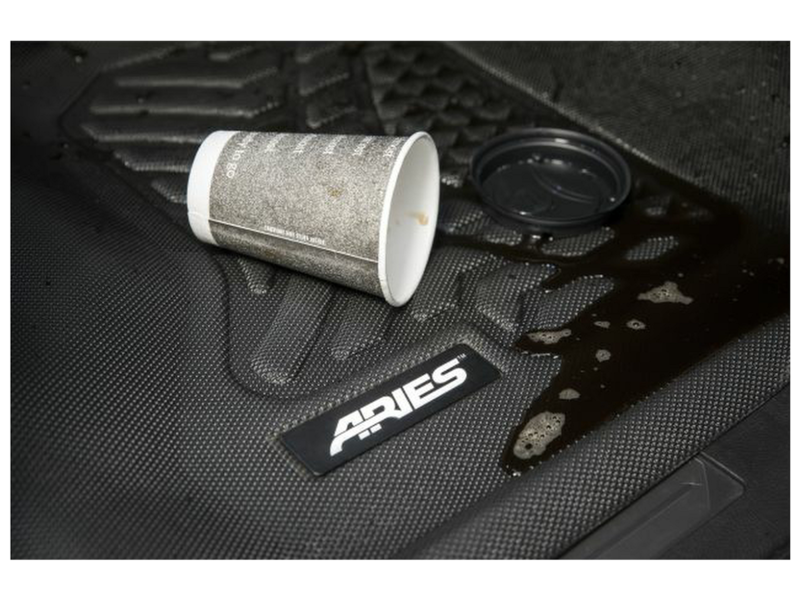 These floor liners are not like other floor mats for trucks, Jeeps and SUVs. They are engineered with a patented anchoring system, a unique triple-layer construction and a sleek, functional finish to give you the protection you need to work hard and play even harder. 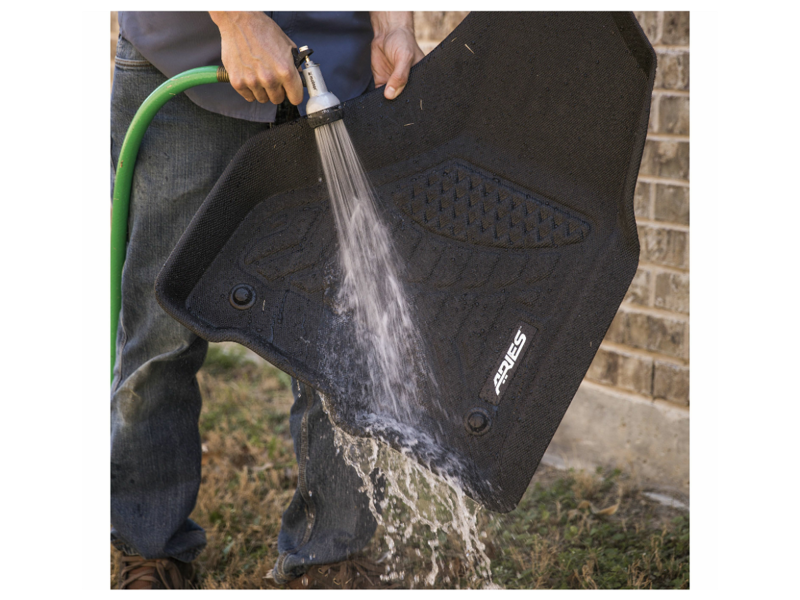 One of the greatest advantages that StyleGuard XD floor liners offer over other floor liners and floor mats is their bottom layer of patented OmniGrip fibers. 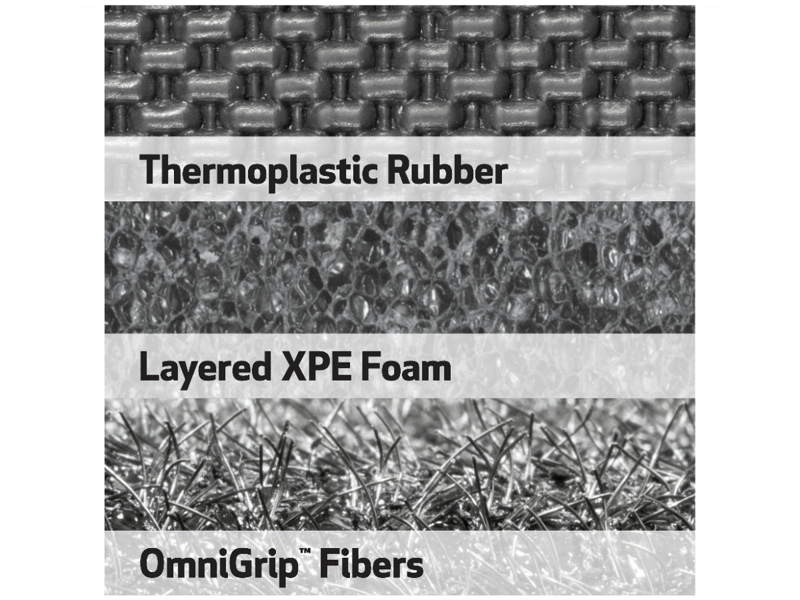 Unlike plastic nubs, OmniGrip uses thousands of wire-like bristles to anchor to all types of carpet and lock the floor liners into place. This makes them a safer choice every time. 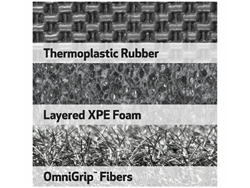 The second layer in the three-layer configuration is a thick pad of cross-linked polyethylene foam (XPE). XPE is sound-dampening to limit unwanted road noise. It is shock-absorbing to provide a softer step. And it is thermostatic, meaning it resists temperature transfer to keep your cab more comfortable, whether warm or cool. 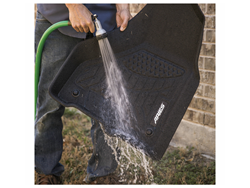 The top layer of StyleGuard XD floor liners is a highly durable, finely textured thermoplastic rubber. This tough yet breathable material is completely waterproof and stands up to the wear of regular foot traffic. Because it is textured, it offers enhanced traction and provides a sleek, stylish appearance for the interior of your vehicle. 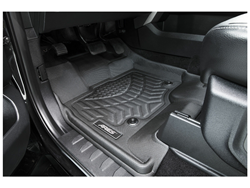 StyleGuard XD floor liners are also equipped with integrated channels and raised edges. The channels strategically direct the flow of liquids and debris and keep them from sloshing around over rough roads and bumpy trails. The raised edges help contain snow, mud, dirt, sand and more. Each set of StyleGuard XD floor liners is laser-measured to perfectly fit your vehicle. This ensures a custom fit, a contoured look and a virtually instantaneous installation -- just drop them into place. 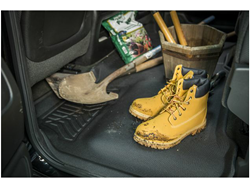 These floor liners are also constructed from lightweight materials for easy removal.